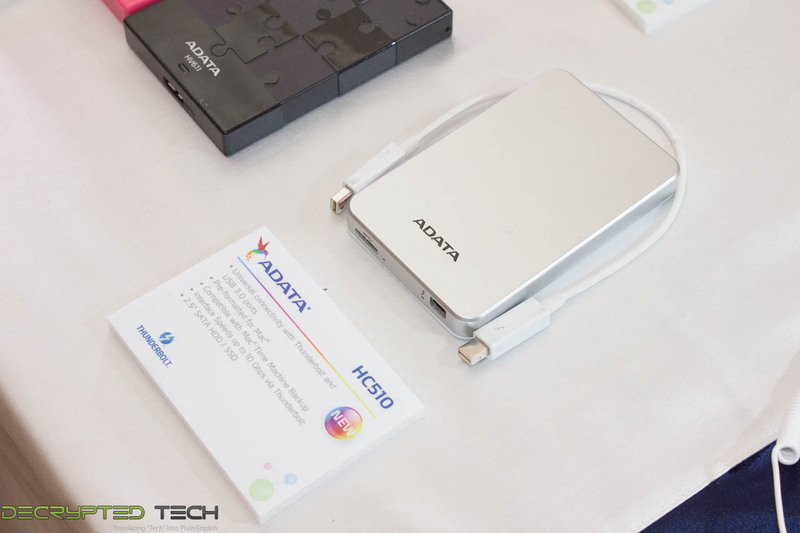 After that we move straight into ADATA’s power bank options. Like previous years they are putting in bigger batteries and making them charge your devices faster and that is about it. 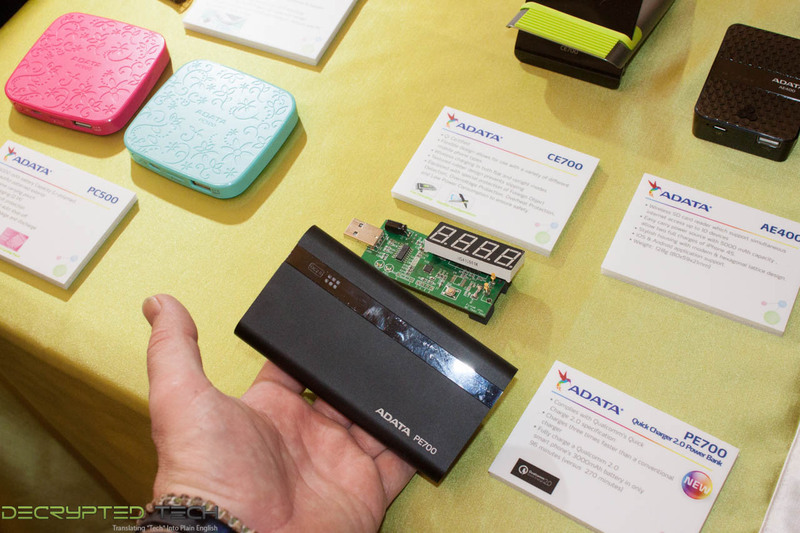 Sitting next to a table full of batteries was ADATA’s wireless sync product. 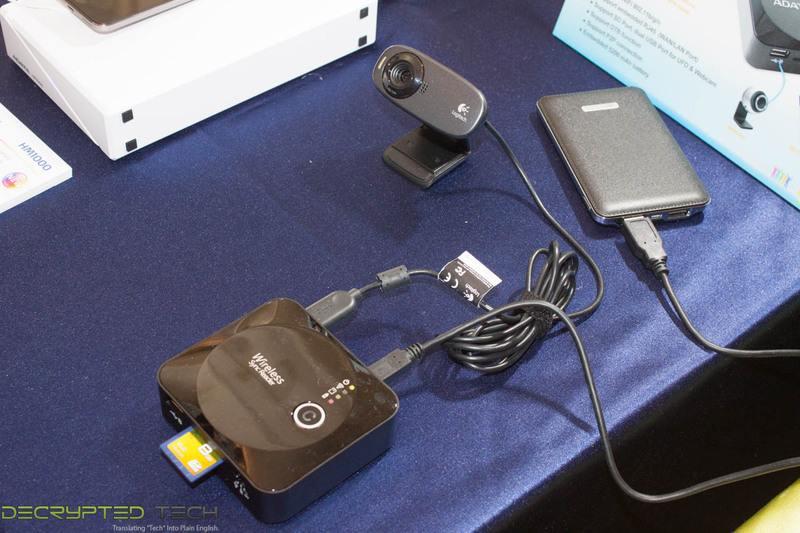 This is much like the other devices on the market in that it creates a wireless hotspot that allows a group of people to share files stored on various media (SD, USB etc.). Where it differs is that you can connect a USB web camera and use it via the same connection. This is an interesting departure from the rest of the pack even if its use case is unclear. 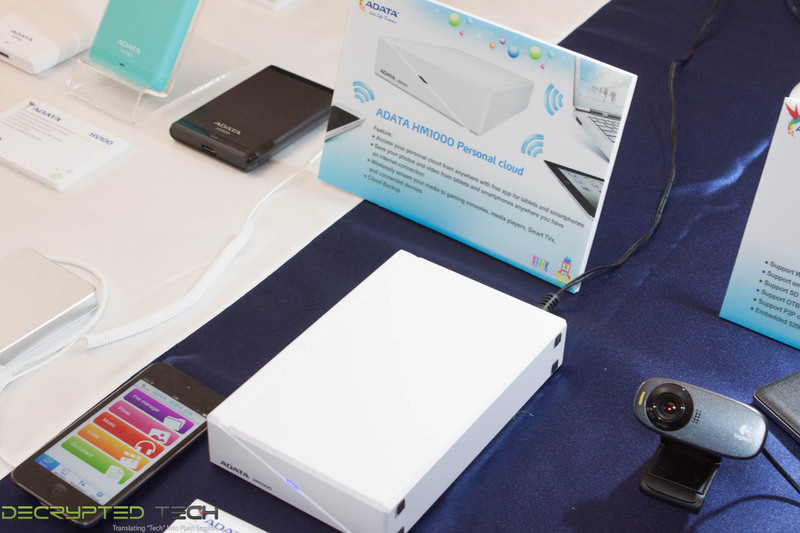 Sitting next to the wireless sync was the HM1000 personal cloud device. It does just what it says and lets you create a portable, personal cloud that you can access using an app. 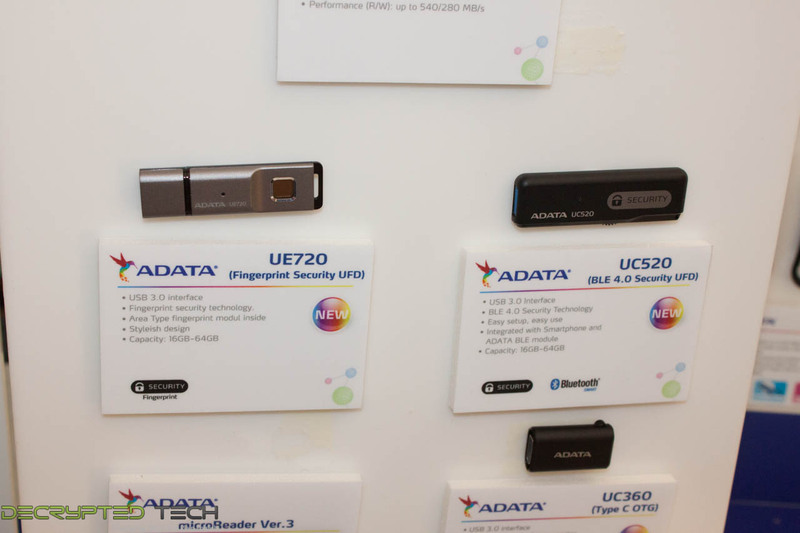 ADATA also had numerous portable USB storage products to show us. These ranged in size and shape from ultra-portable to goofy looking. One item in the USB storage arena that did stand out to us was a USB thumb drive that actually had a finger print sensor in it. This struck us as a novel idea and one that we will be interested in when it is ready for market. 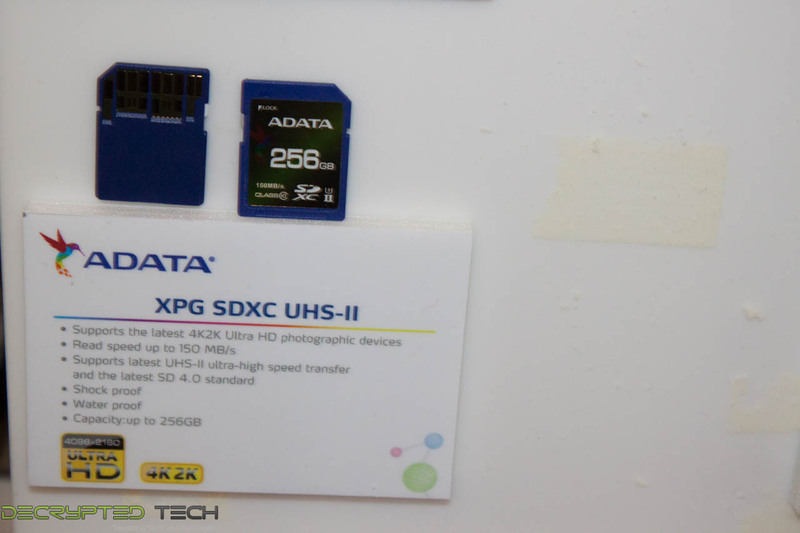 Other than that the big news at the ADATA suite was the numerous USB 3.1 type C drives and SD cards with the UHS-I. 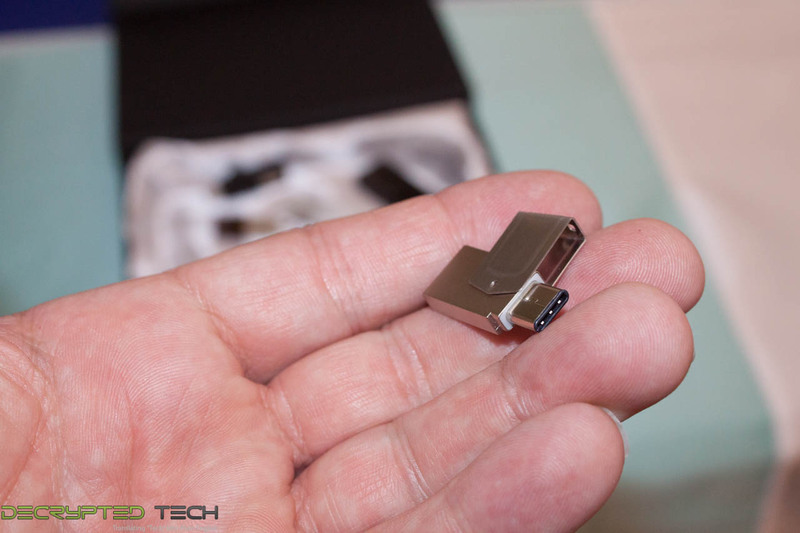 This is the Ultra High-Speed connector that is coming out over the next couple of years. 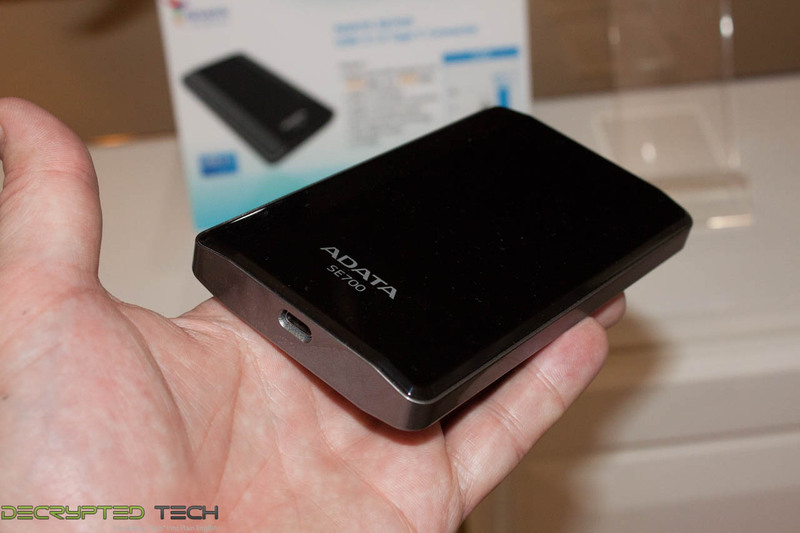 It is designed (as you might have guessed) to increase the transfer speed to and from the SD cards. This is to help with 4k and even 8k video performance. The problem is that there are almost no devices that support this (and type c) now and very few on the radar. 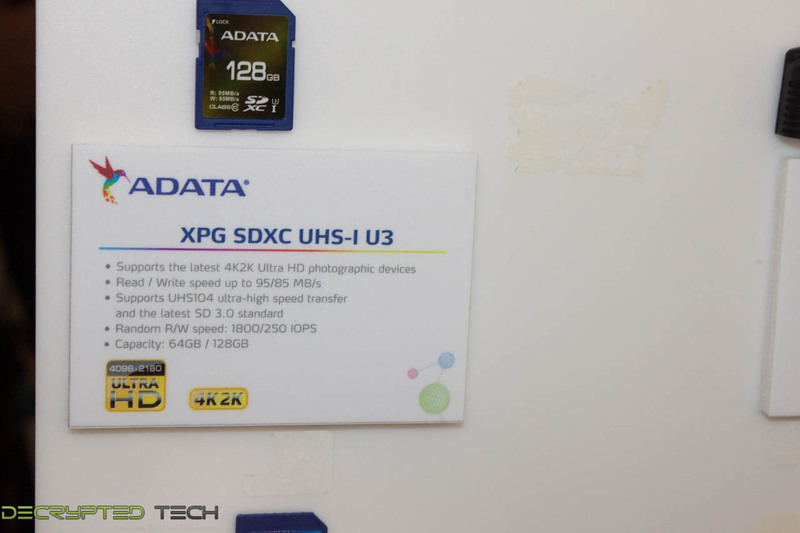 Overall the visit to ADATA’s suite was much like the others we had during CES, cool items, but nothing really new or to get too excited about. Rumors Point to 8GB of HBM on AMD's Radeon 390X, but do they hold water?